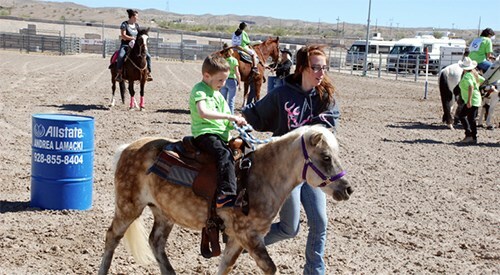 Have you ever attended Boot Scootin’ Boogie Days or Rodeo in Lake Havasu? If you have not gone there then you must make plans with family and friends. It can be an amazing experience without any doubt. For three days, the event may go on that has been organized by Heaven Inc Hoofbeats and Milemakers. It is the first time that they have decided to arrange Boot Scooting Boogie Days. However, the exceptional rodeo event has been entertaining people for about four years in the row now. The event is expected to start from 30th March which is a Thursday with a talent show. Everyone is invited to join the event. On the occasion, Milemarkers kids may be seen as the host of the show. There is no ticket for this event. Therefore, money may not be required at all. On the next day, schedule must be kept free for dance hoe down and dinner. Prior to the dance, you can sit for dinner. Here, food is scheduled to served by Cha-Bones. For the entertainment, some country music can be played on the side. However, you can take part in the silent auction also. Luck can be tried to some extent through a raffle 50/50. For a team of 8 members, tickets can be purchased at the price of $450. There is provision to visit the event alone also. During this time, you may have to pay mere $ 60 for the tickets. By simply calling the number 928-208-5842 or 928-854-5439, a ticket can be booked easily. Silent auction is held between 6pm and 7pm. The next hour is reserved for dinner. From 8pm and 10 pm, you can either enjoy the dance with the loved or join live auction with friends and family. During last day of the event on 1st April, Spring Fair and Exceptional Rodeo are hosted. Heaven Inc Hoof Beats is arranging this fun filled activity especially for you. In the morning 8am sharp, breakfast is served with delicious pancakes. For the kids under the age 12, ticket prices are about $2 and adults can join the breakfast at the price of $4. Fair booths are generally kept open between 9am and 3pm. Different types of fun games are arranged at the time. Prizes are provided at the end of games also. If you take part in a game then you may have to buy tickets at the price of $ 0.25. The accumulated amount from the tickets is generally given to the charity. Grand entry of rodeo with contestant’s special requirement is observed around 10 am through the barrels and poles. Several types of the activities like calf roping dummy, horse races stick and other types of games can be seen at the time. Other activities such art and craft, face painting and pet partners can be noticed at the same time too. In the end, pictures can be taken with rodeo king and queen as a memorabilia. Following to thrilling day, closing of the gates is noticed at 4pm.